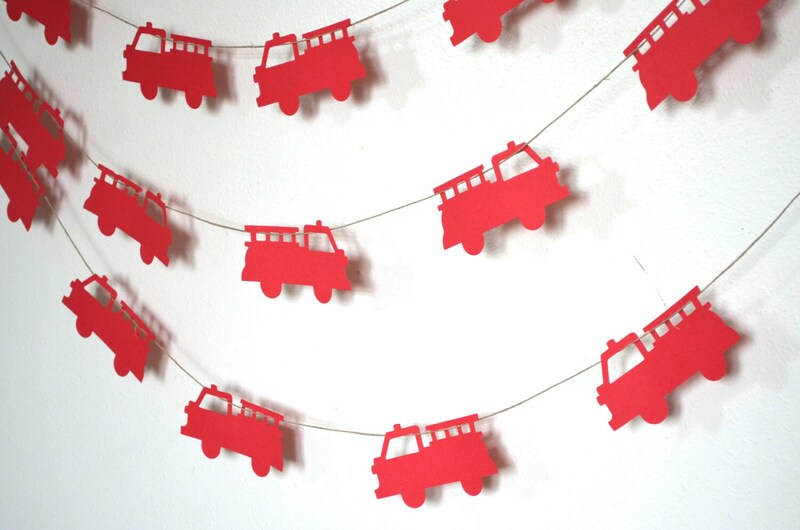 Make your party roar to life with this easy to assemble garland kit! 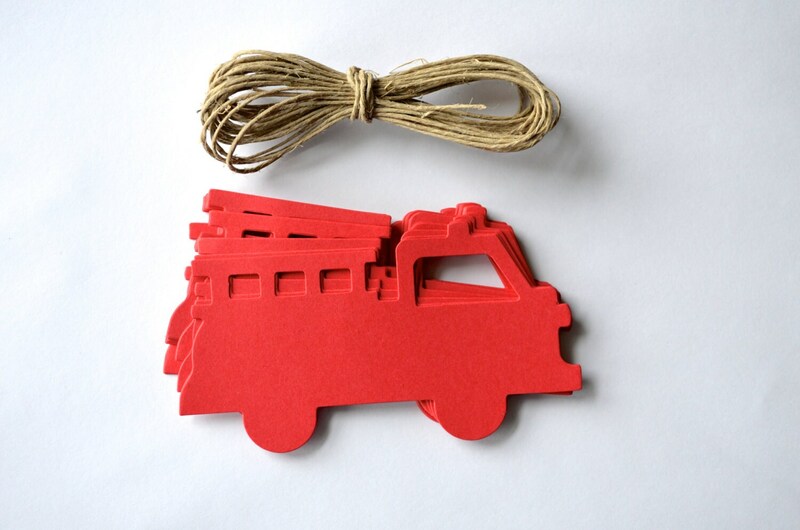 Each kit features 20 hand-punched red fire engines and 20 feet of jute cord. 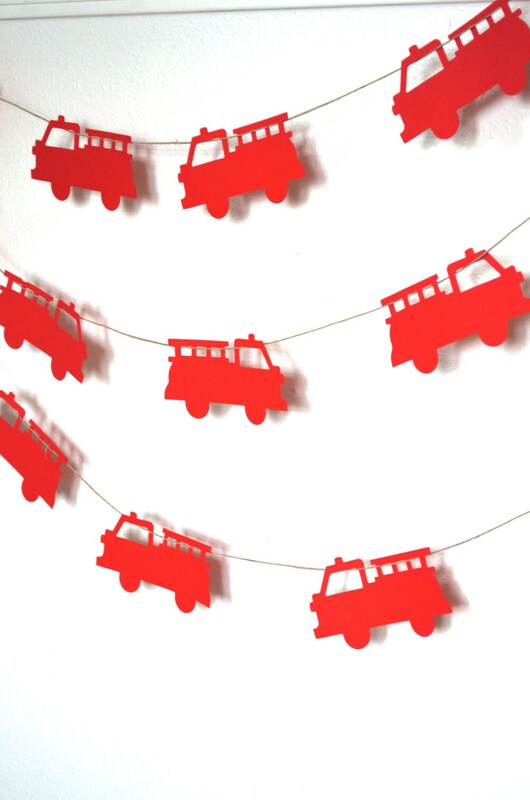 Simply thread the cord through the fire engines and you have a high-impact, low effort decoration that will bring delight to all your little firemen, er, guests! 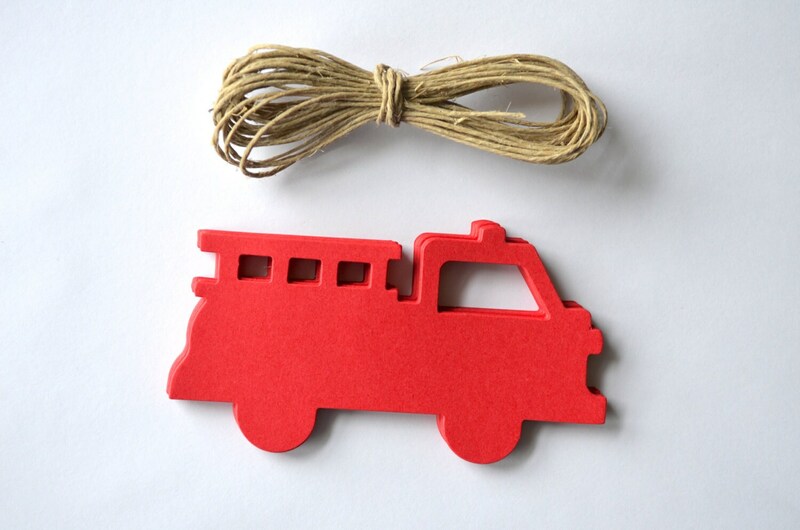 Each fire truck is 5" x 2.75" and is made from high quality card stock.